The Science Rant: World Sports Navigator - Android Apps on Google Play- No Ads. FREE. World Sports Navigator - Android Apps on Google Play- No Ads. FREE. I recently updated my Info Navigator for Winter Games App for use 365 days/year. New name: World Sports Navigator. You can update the previous version automatically using your Google Play App on your Android phone or tablet. Also, link above will take you to the App on the Google Play site using your web-browser. The App is free to use, and it is free of ads. Yes, that is correct: no ads. This is my contribution to promote sports and fun. "Make sports not war." Not just professional sports information, not just Olympics. The links provided, and the @OlympicNav Twitter feed, provide information on Special Olympic and Para Sports of all kinds and all levels during the day. This twitter feed in the App is generated by real people. (Usually myself, not a robot or program.) Our App follows many amateur athletes and you can help too by passing this info on to your friends. Feel free to offer your suggestions, I may add them. 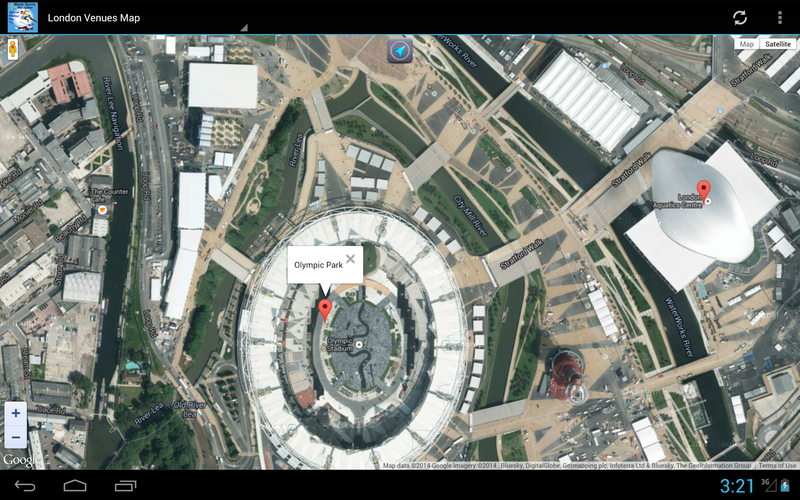 The App provides maps of event locations for the last Summer and Winter Olympic games, links to the best sports information broadcasters in US, Canada, UK, France and Australia, and links to official Olympic social media sites. No charge, from me to you. Enjoy.